SMM is a leading maritime trade show, bringing together around 50,000 industry visitors from more than 120 countries, and 2,289 exhibitors from 69 nations. Key facts and figures about the show can be found here. 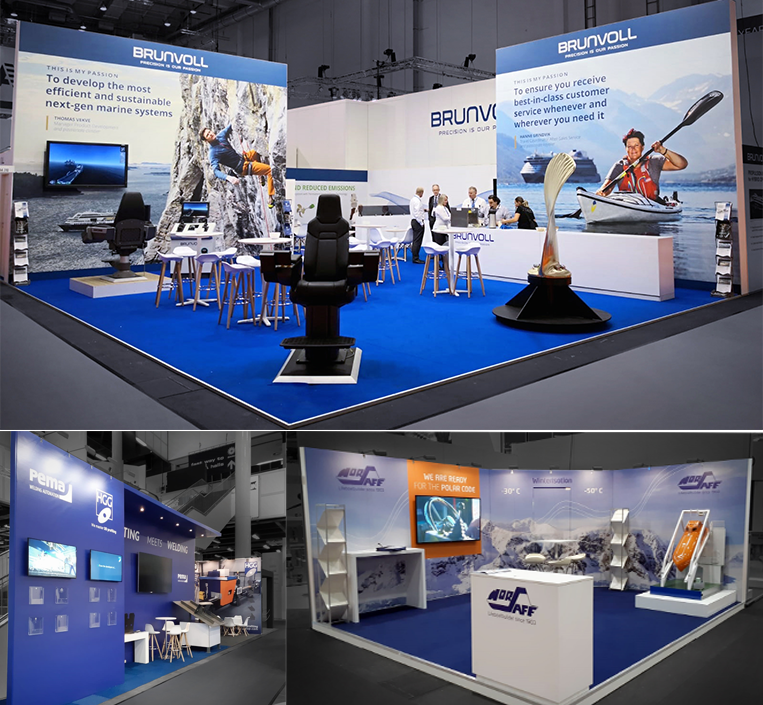 Wulff Entre supported both clients in their own individual design stands and was the official Maritime Finland Pavilion Organizer for SMM 2018. This year we celebrated our 20th-anniversary supporting companies at this great event. “SMM 2018 was the world’s leading maritime exhibition this year and also my biggest project so far. I am so happy with this experience! 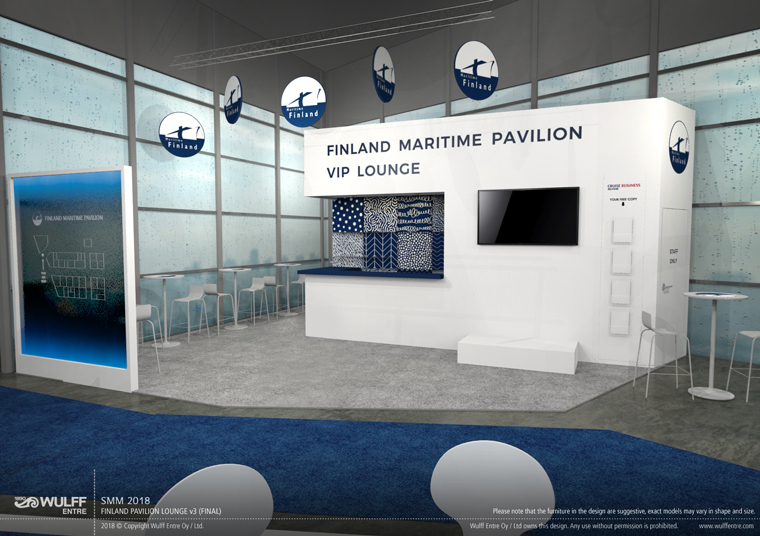 I was responsible for the project management for our Finland Maritime Pavilion where we had 30 exhibitors at 28 stands. We started the production phase in early 2018. SMM, being so massive in size, is at some extent ongoing all the time in two-year cycles. Now that 2018 is over, thoughts are already moving towards SMM 2020. We used our trusted partners in construction and AV. There was also a catering supplier to serve beverages and lunches at the pavilion’s lounge area. As we Finns are heavy coffee consumers, hundreds of cups of coffee were drunk daily at the lounge. Onsite, we had Happy Hour events at the pavilion’s lounge and a networking event with our neighboring Spanish pavilion. One service provided for the pavilion exhibitors was a meeting room and available slots could be booked by our clients who exhibited outside the pavilion too. I helped organize the onsite events and coordinated the meeting room reservations. When we are designing a Finland Maritime Pavilion, we want to create a wholeness that reflects Nordic clarity and freshness. 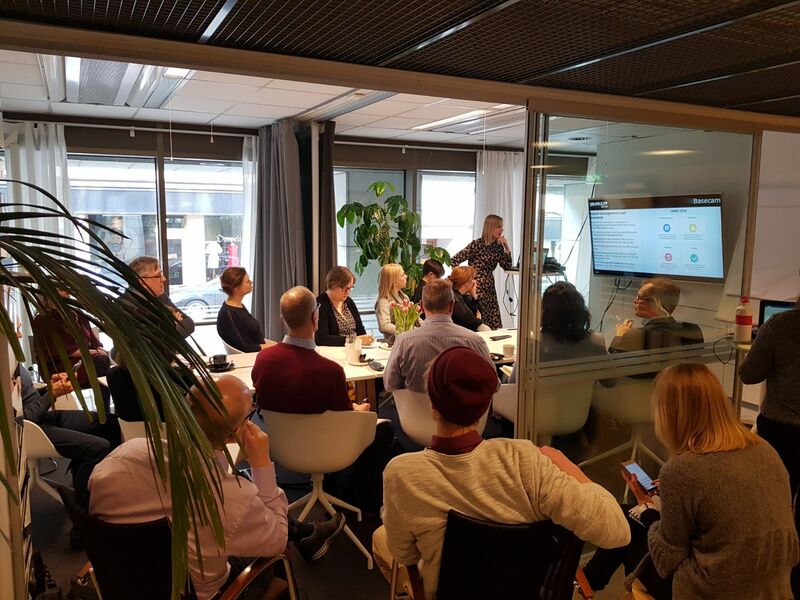 Because we see it important for visitors to feel that they are in a Nordic environment at a global event. This works as a basis and creates a frame for the pavilion. We want to maximize the visibility of each customer, and take into account the special needs of each customer and strive to implement them in the booths. With a clear and customer-oriented design, we want to create a successful experience at a fair for each and every customer. “I started at Wulff Entre at the beginning of August 2018. Already after one month, I had the privilege to join our team at the SMM 2018 fair and it was quite an experience! Having never visited a trade show that big, it was just incredible. The best part was that I got to see how things work “behind the scenes” and how that big of an entirety can be handled that smoothly with this amazing team we have. During the fair, I was mostly working with our customers with design stands. 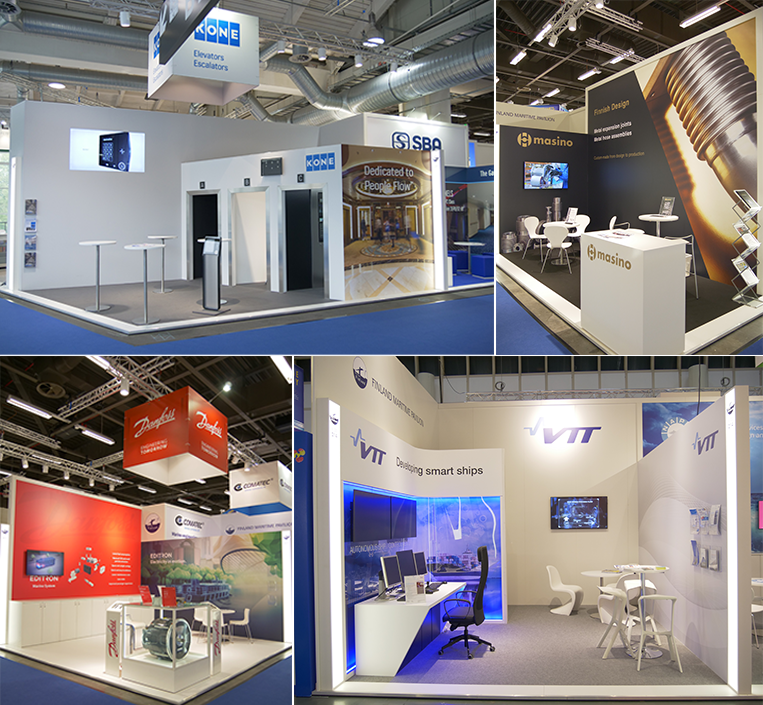 Seven different designs with beautiful graphics, every stand playing with colors and lighting to fit that client’s unique brand. It was amazing to see how with even small things you can stand out from the crowd. The fair brought me many new contacts and especially some very valuable experience I’m very glad to get at such an early stage of my career here. The week also included over 122 000 steps and 95 kilometers. Absolutely the most fun exercising ever! “SMM is one of my favorite trade shows ever! It is a great feeling to get to know people from all over the world and to meet them at least every two years in Hamburg. I used to work there 20 years ago when working at the Finnish-German Chamber of Commerce. At that time, the show halls and exhibition stands where quite different and the show was not this international. But the main goal was the same: connecting high-quality maritime business with face to face meetings. 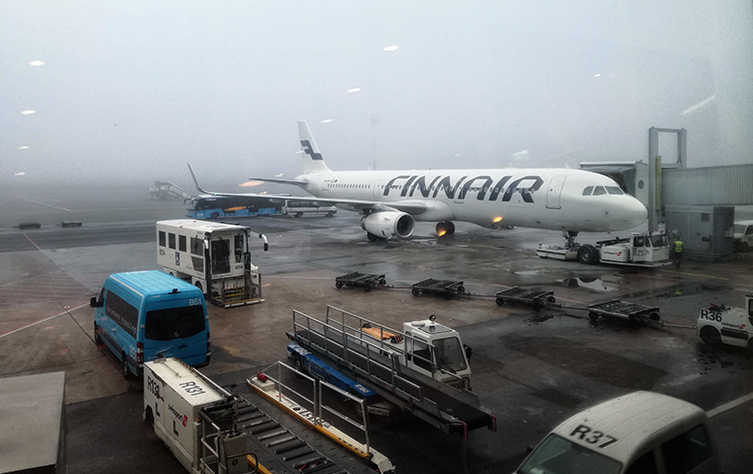 This year I got a great possibility to visit The Finnish Seamen’s Mission in Hamburg Hafen! There are not many of them in Europe anymore. What a great place in Hamburg harbor. I went there to buy Finnish beverages for our loved customers. You can also find Finnish bread, pulla, newspapers, sauna, souvenirs and of course a priest there. Worth visiting! Interested in working together in 2020? It’s never too early to get started!